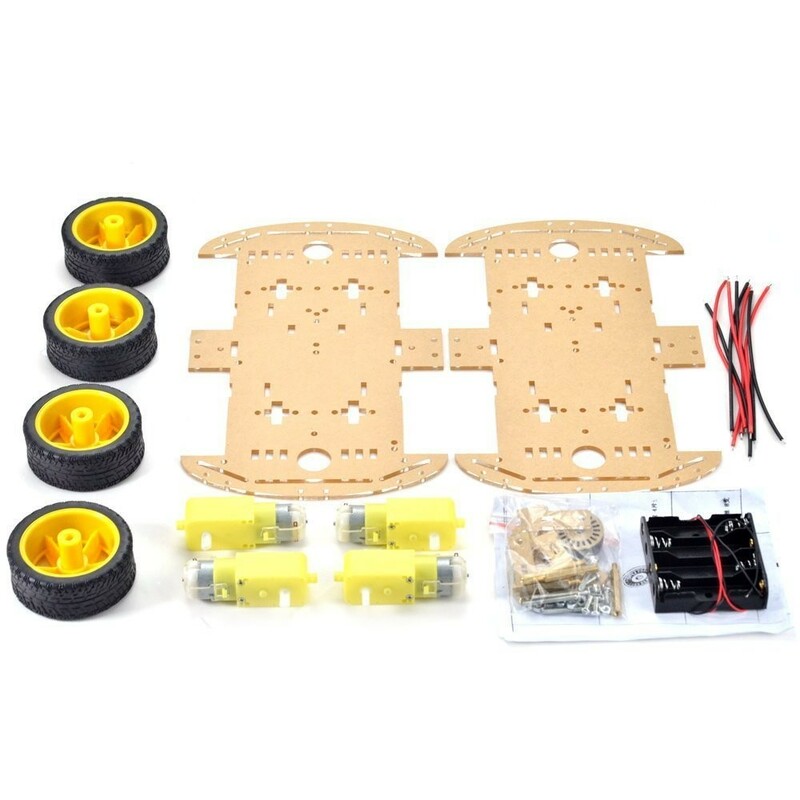 Get started with robotics with this 4-wheel drive acrylic robot chassis kit. It comes with all of the parts needed to assemble the robot. 3V to 6V supply for geared DC Motors.